What's on Samsung Galaxy S7 Edge? While the Apple fans are known to come down on the new devices made by their ultimate rival, Samsung, the all new Galaxy S7 edge certainly has a range of features which are destined to make the Apple fans jealous. If you are looking forward to get a new phone and are confused about choosing between Samsung’s Galaxy S7 edge that has been announced on Sunday and an Apple iPhone, you have landed on the right page. Let us mentioned a few of the prominent and new features that the Galaxy S7 edge has introduced which are going to provoke jealousy in the Apple’s fan. 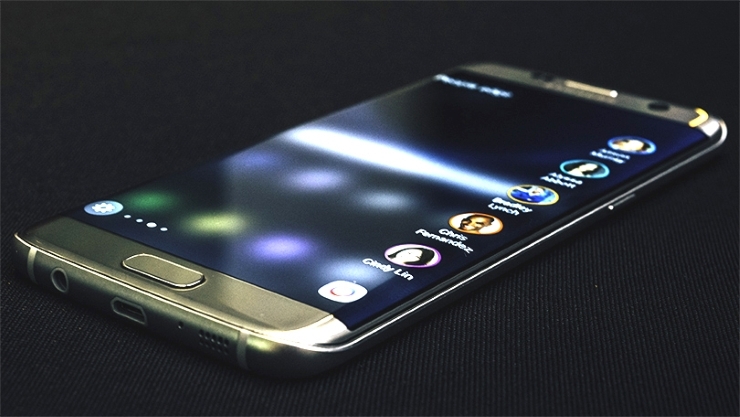 The design of the all new Samsung Galaxy S7 edge is absolutely attractive to say the least. While the edge features may not be useful for all of the customers, there is no argument over the fact that the unique look that has been introduced with Galaxy S7 edge is destined to be popular in a sea of rectangles. The always-on display mode that has been introduced in the Galaxy S7 edge is going to be extremely useful and probably is one of the most anticipated features to be introduced. Without casting any kind of a negative impact on the battery life of your phone, the always-on display mode enables you to see if there is a new notification without having to light up the screen or use the power button frequently. The phone does also act as a perfect table clock or a calendar with the always-on display mode. The above mentioned happen to be only a fraction of the improvements which should be made in the iPhone but are not introduced so far. But Samsung has refused to confine its improvement to here only. Samsung has taken a step further this time in order to enhance the appeal of its new phone via other devices. The Gear VR for instance, that happens to be a highly compelling addon for the latest smart devices provides impressive and serious demos of gaming from Epic Games which are known to be not for the mobile phones traditionally. 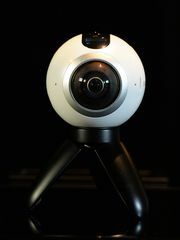 Another perfect example would be the introduction of the Gear 360 that doesn’t only enable you to film 360 degree video but send it to your phone as well within a few seconds for the purpose of sharing or probably simple viewing. Samsung has also been paying close attention to the improvements which could be made in terms of the software. The all new S7 edge comes with a unique gaming mode that turns off all of the notifications, and enables you to take a screenshot or record your gameplay as well. The built-in camera now supports a huge range of downloadable modes to add an element of fun to your experience of photography. Samsung Pay has also become a common alternative to the traditional payment services since it is being introduced at more and more payment terminals with the passage of time. Last but not the least, Samsung has gone to the limits of introducing improvements to its Touchwiz interface as well by making it minimally annoying and focusing on design improvements. For instance, cute regular releases of illustrations which can be used with the always-on display mode is a huge improvement in terms of the Touchwiz interface. In the light of the information mentioned above, it can almost be taken for granted that there are a range of improvements and features that Samsung has introduced with its all new Galaxy S7 edge. A few of these improvements and features are destined to make majority of the Apple’s fan jealous to say the least. So if you have been planning to get a new phone lately, it won’t be wrong to state that opting for an all new Samsung Galaxy S7 edge is certainly going to be a commendable idea.